Chelsea Planning & Consulting Pty Ltd t/as Credit Fix Solutions (from herein noted as CFS within this document) is committed to protecting and maintaining the privacy of your personal and health information. The purpose of this statement is to advise visitors to CFS’s website of the information collected when they visit, how this information may be used and whether or not it may be disclosed. Further information on privacy at CFS can be found in the Privacy Management Plan. The Privacy Management Plan outlines the company’s responsibilities under the NSW Privacy and Personal Protection Act 1998 and the Health Records and Information Privacy Act 2002. CFS may record server addresses, domain names, IP addresses, the date and time of visits to the site, as well as the pages accessed and any documents downloaded. This information is collected for statistical purposes only. CFS will not attempt to identify individual visitors from this information, except in the unlikely event of an investigation, where it is required by another law. CFS is not responsible for the privacy practices, or content, of any external links provided on CFS’s website. Links are provided for the purpose of convenience and do not necessarily reflect CFS’s endorsement of the content provided. Engaging with certain applications of this website may require you to provide information about yourself by submitting an online form. CFS will only request the information that is necessary to complete the enquiry or service. Any information collected via CFS’s website will be delivered to the appropriate staff member for action as required. If you send CFS an email, the email system will record your email address. This information will only be used to respond to an enquiry made and will not be disclosed without your consent. Some email communications may be monitored for statistical and quality purposes. Emails sent to CFS will be held by the relevant area and, in certain cases, in CFS’s Record Management System, Ontraport. Correspondence sent to CFS will be treated in line with the NSW Privacy Principles and may be subject to requirements of the State Records Act. As outlined in CFS’s Privacy Form, once signed and retained by CFS, information is protected from loss and unauthorised access or disclosure. Certain areas or applications of CFS’s website require a login name and password to ensure that the information is only displayed to the intended recipient. Users should ensure that their passwords are protected and cannot be accessed by others. Our systems encrypt this information to ensure protection. Temporary cookies are used by certain applications of CFS’s website for authentication purposes, to improve security, or to provide specific content to users. A cookie places information on your hard disk so that the site can remember something about you at a later time. You can alter your settings so that your browser can reject cookies or notify you when cookies are used. Not allowing all cookies may affect the function of, or your access to, certain CFS applications. Cookies are also used by CFS website to supply CFS advertisements to a visitor, as they continue to browse on the internet after leaving the CFS site. (see remarketing below). Personal information you supply on-line will be used by CFS staff in conducting the business of the company. The information will only be used for the purpose for which it was collected, in line with CFS’s Privacy Management Plan. When you opt-in to receive email and SMS updates about CFS, your personal information is collected and managed by CFS to provide direct marketing information on credit repair or other information which we think you may find interesting or will help you make decisions about your credit repair options. From time to time, we may also use your personal information for market research purposes. We may contact you by email or phone to invite you to participate in market research activities to improve our services and marketing activities. If at any stage you no longer wish to receive marketing communications from the University, you may choose to opt out / unsubscribe by following the instructions in our communications. CFS will not disclose personal information obtained via CFS’s website unless with the consent of the person concerned or where otherwise stated at the point of collection. CFS supplies email facilities to all staff through the providers Microsoft Outlook and Gmail. 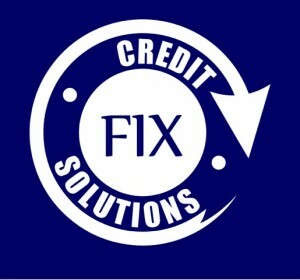 For further information on use of email by staff and students please email us at info@creditfixsolutions.com.au. CFS’s website hosts some interactive applications. Please be advised that any information disclosed in open online forums or on message boards becomes public information. If you wish to access or amend personal information CFS holds/may hold, please contact the relevant person, or you can email info@creditfixsolutions.com.au.